RTV proudly offers the most virtual tour features in the industry. We understand that in order to stay a leader we have to innovate on a regular basis! Those of you might have noticed that the videos created by the OLD video ripper had basic looking text on them and moved from scene to scene using a variety of random animated transitions. The output files were also only 720p. We are proud to say that the newly improved video ripper has quite a few improvements over the previous ripper. • Now in 1080 HD – That’s right team! Our new video ripper pulls the images from your original HD uploaded images and uses your original files to create a high definition production. • Includes Uploaded Videos – Are you an Aerial Drone Operator? Do you do video walk-throughs or AstroZooms in your RTV productions? If you use ANY video at all in your Real Tour Vision productions you will love the fact that our new video ripper also pulls your full motion video clips from your interactive virtual tour and adds them into your video rip. You can find the rip to video toggle now enabled on your video clips in the scene manager. By default, all videos within your virtual tour production will be included in your video output. • Ken Burns Replicator – The new video ripper examines EACH of your carefully defined Ken Burns transitions from your interactive virtual tour and replicates that into the video rip. Say goodbye to random transitions. The new video ripper will do EXACTLY what you tell it to, right down to how long each slide is shown in the video. • Spherical Optical Correction Added – The old video ripper would not optically correct spherical panoramas so they looked absolutely horrid when ripped into a video production. The new video ripper carefully optically corrects the viewing of a spherical panorama so the viewer can look at your spherical panoramas now without any distortion. With 3D spherical tours on the rise this was a MUST for us to include in our latest version! • Enhanced Output Control – We have added several new buttons and toggles in the video promotion section of your tour manager to allow for finer control over video creation. • Full Audio Support – The new video ripper now supports ALL audio formats including AudioPal narrations, custom tour narration, RTV Radio and custom uploaded .mp3 music tracks. Enjoy the new virtual tour software technology team and keep your eyes and ears peeled for the release of our all new HTML 5 Fusion Experience player that we will be showing you in the coming days! Thanks for your support. Hello and good afternoon team! We have been busy continuing with our battery of updates to the Fusion virtual tour hosting platform. Now with three full-time & in-house developers working in tandem with Tom and his team, we see lots of updates coming to fruition. In addition to launching the beta version of a brand new HTML 5 player last year, we now offer up secure HTTPS virtual tours, no longer require flash to upload media, vastly improved upon the Tour Shredder, launched our 3D VR Headset tours, added a long-awaited for media gallery http://fusion.realtourvision.com/tour.php?tourid=327951&html5=1#tourgallery and so much more! The final piece required to finish off Fusion Slim in HTML 5 will be the implementation of floor plans. You will love how we are attacking floor plans this time around too! It will be a significant enhancement over the current deployment and handling of floor plans in the flash virtual tour player. After floor plans are launched and assuming everything goes well under our testing, we will be officially taking our HTML 5 player out of beta. While the above is underway, we will soon announce the beta versions of our new HTML 5 Fusion Experience player and our all-new HTML 5 Fusion Site player. Fusion Site is a gorgeous single property website layout that we are sure our user base will simply love. There are so many exciting things on the horizon for RTV, and the momentum that we currently have is tremendous. Here are just a few changes that just went live to our HTML 5 virtual tour player. We trust that you will continue to rally around the progress and we thank you all for your continued support. 1: Fixed and improved the HTML 5 playback concerning “zoom factor” settings set in the manager for all panoramic image types. 2: Added new feature to HTML 5 player – All tours now have a pulse animation play icon when the tour is interrupted via mouse or finger tap. When the tour is interrupted, the tour player will start back up after 5 secs where you left off if you are not interacting with the tour. 3: Added a new feature to HTML 5 player – Spherical and cylinders now have a return to center call after the tour has been interrupted via finger panning or mouse click. After five secs of no interaction, the tour returns to vertical center and returns the animation where it left off. 4: Agent & CO agent info box improved on HTML 5 player. HTML 5 player no longer cuts off Co-Agent info at certain screen sizes and or devices. 5: RTV Radio Fix – Music will cease to play if the user has the manager flip switch “play on MLS” set to off. RTV radio now works correctly when music option is turned on or off on tour. 7: Desktop HTML 5 Player UPDATE: “Video Icon” blink on HTML 5 desktop tours before video autoplay has been fixed. 8: HTML 5 Player Video Fix: FIT To Scale – THe HTML 5 player now supports the fit to scale options in the manager for video. Both options now work across ALL devices. 9: HTML 5 Player Fix – Impacts Apple Devices Only – Apple does not support full screen on any of their mobile devices. We have therefore removed the full-screen button when viewing from an apple device. 10: HTML 5 Player Fix – Reported play and pause tour errors have been fixed on mobile devices. 11: HTML 5 Player Fix – We have significantly improved the ken burns animations on all mobile devices. 12: HTML 5 Player Fix – Users will now see the currently selected scene when using the scene selector. 13: Fusion Experience Player Update (Flash) – New default RTV logo using “Real Tour Vision” has been added to the loader screen during tour playback. As always users can upload their loader logo to overwrite default RTV loader logo. The all new real estate Hot Sheet is finally here! For those of you that have been getting the most out of your Real Tour Vision system by using our RSS feeds, you probably already know that you can easily auto tweet, pin, facebook, blog, post, and email out your tours automatically as you create them. Automation is achieved by using our RSS feeds to your tours in conjunction with services like https://ifttt.com/ (for posting and blogging) and www.Aweber.com (for email blasts). For a full one hour explanation on how this works, watch “The FORMULA 64 – Fusion Exposure Engine II” back in www.RockPointeMarketing.com The show will take you through each step in detail so you can create your very own Hot Sheet and Exposure Engine which can be easily monetized. In 2016 BlueLaVaMedia photographed nearly 800 homes. Of those, 80% ordered the Exposure Engine at $35. What is a Hot Sheet? A Hot Sheet is a list of your most recent real estate virtual tour productions that gets sent out to your customer base on a regular basis as you complete new tours. You simply continue to create new virtual tours and when X number of virtual tours have been created your Hot Sheet will be automatically compiled and an email will be sent to everyone on your Hot Sheet email list. How does the Hot Sheet work? Staying in touch with your customers on a regular basis is VITAL in any business. Being that you’re photographing newly listed homes hitting the market and sending this highly relevant content to local real estate agents makes the Hot Sheet a MUST HAVE for your photography and virtual tour business. The Hot Sheet is a PERFECT marketing tool just begging to be put in front of as many local real estate agents as possible. As people click on and watch the virtual tours from your Hot Sheet email, the weekly virtual tour traffic reports will show this referral traffic by putting “Hot Sheet” right onto the report. Your customers will know you’re working hard to get them the most exposure and the best part is that it will all be done for you automatically! Here’s a short video for you to watch for further information and we hope to see many of you setting up your Hot Sheets today! Summer is quickly passing us by! It’s easy for your virtual tour company clients to forget about how important professional photography is and how bright beautiful images captivate. Good marketers know that it’s vital to keep your clients thinking about you year round. Use this month’s RockPointeMarketing piece to remind them of your high quality professional photography and powerful marketing tools! This flier is a fully customizable multifold piece with color and graphics that relax and entice like a beautiful summer day. Use our pre-written text to tell your clients what you have to offer, or customize it to send the exact message you want. This eye catching piece will look great in your client’s listing presentations and they will love how professional it looks as they explain why they only use professional photography and virtual tours for their listings. Don’t wait until the skies have turned grey and the winds cold to remind them that beautiful pictures sell homes faster, and for more money. Click here to watch a video on this unique and exciting marketing piece! This piece is available for all Rockpointe Marketing subscribers as part of their membership subscription. If you aren’t currently a rockpointe marketing member, reach out today and ask how you can take advantage of all the benefits that Rockpointe Marketing has to offer. This piece was created using Adobe Photoshop giving you the ability to customize it with software you already use, and providing the most professional look in today’s demanding world. Not a Rockpointe Marketing member? Click Here To Sign Join Today! How much should I charge for my photography services? How do I make a website that sells? What is the best approach to shooting a property? Starting your own virtual tour business can be intimidating. We hear questions similar to these on a daily basis. We understand that being successful in any business hinges on the owner’s ability to get answers to questions like these. Your success is RTV’s success. We are excited to announce a great solution for real estate photographers everywhere. If you missed our webinar “Through The Lens 4 – Successful Real Estate Photography Tips with Darryl Stringer” or if you listened in but would like to learn more about the topics he spoke about, you are in luck. 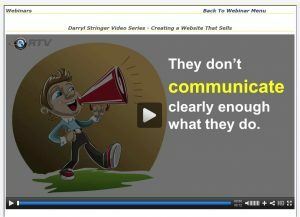 RTV has invested in an exclusive three-part video series created by Darryl Stringer that will answer the questions above and more. Darryl is the photography and marketing expertise behind The Real Estate Photography System. 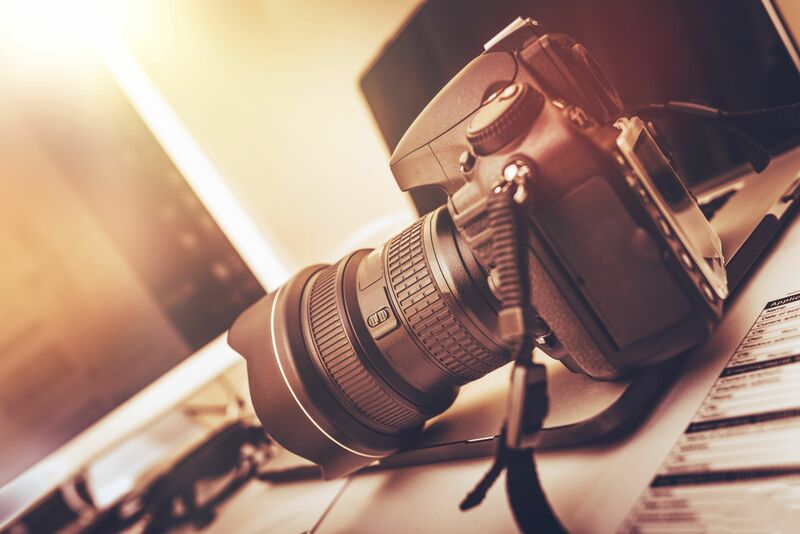 He works with photographers around the world, teaching them the most important secrets that he has gleaned over his more than 30-year career shooting real estate photography. In this series, Darryl offers deeper insights on the steps photographers need to take to set their business up for success, as well as demonstrates his shooting and post-processing methods and more. This resource is a valuable addition to our Rockpointe Marketing library and we believe you will agree. 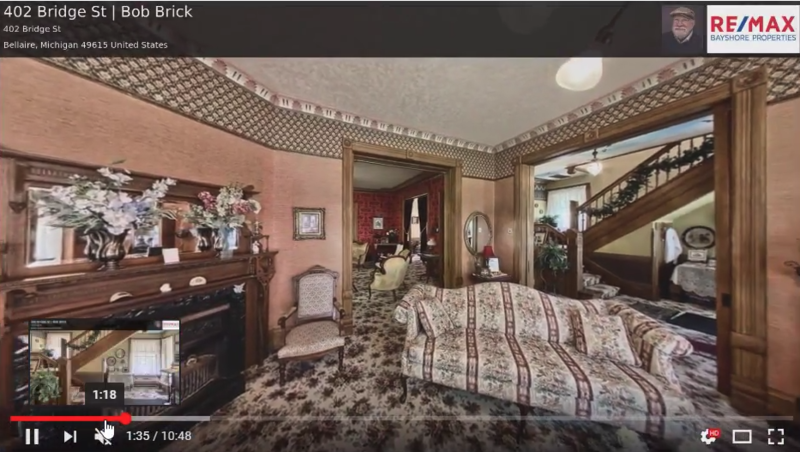 If you are a new virtual tour provider, have been struggling to get your business off the ground, or are a seasoned pro, this Rockpointe Marketing exclusive video series is a must see. Do you need to purchase or renew your Rockpointe Marketing membership? Follow the links from the sidebar in your control panel or simply visit rockpointemarketing.com to join. You will be glad you did.